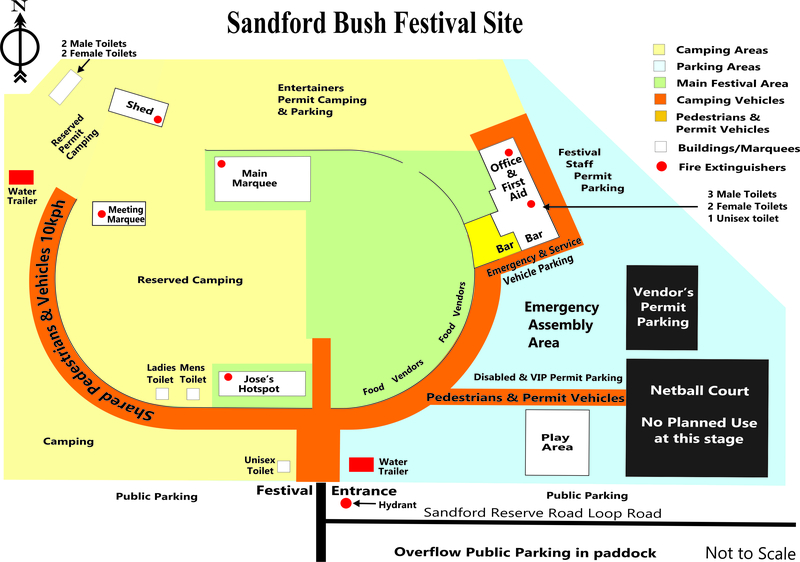 The Sandford Bush Festival invites you to become a Partner, Sponsor or Friend of the Festival. By joining us as a Partner, Sponsor or Friend of the Festival, you are supporting a new and vibrant regional arts and tourism event. As well as showcasing well known quality entertainers, this festival will play a significant role in the development of local and visiting aspiring musicians. With more than 1,000 visitors expected to attend this event the festival is expected to inject hundreds of thousands of dollars into our local and surrounding communities, supporting accommodation providers, retailers and eateries as well as boosting tourism within the region. Attendance figures are expected to grow significantly over the next 3 years. Your support through the ‘Partners, Sponsors and Friends of the Festival’ program will not only attract community and corporate goodwill but will be rewarded by a range of additional commercial benefits. Our Partners, Sponsors and Friends are warmly acknowledged for their generosity and support on this website, in social and local media and the festival’s marketing material. Partners, Sponsors and Friends of the Festival will all be entered into a Lucky Draw which will take place at the festival. Tickets in the draw can only be obtained by taking up one of our packages. The number of tickets received will depend upon the package selected. Have a look at the different packages below. Select the one that suits you best. Give Gazza a call on 0402 434 827 (or write to General Enquiries on the contact page).